Tatarstan is a land of natural beauty and bloody battles, and bears the scars of a once troubled co-existence between East and West. When the football is over in Kazan, check out 1000 years of unique history. This summer, Kazan will play host to six World Cup 2018 matches: France vs Australia on June 16, Iran vs Spain on June 20, Poland vs Colombia on June 24, and South Korea vs Germany on June 27, as well as a last 16 match on June 30 and one quarter-final tie on July 6. 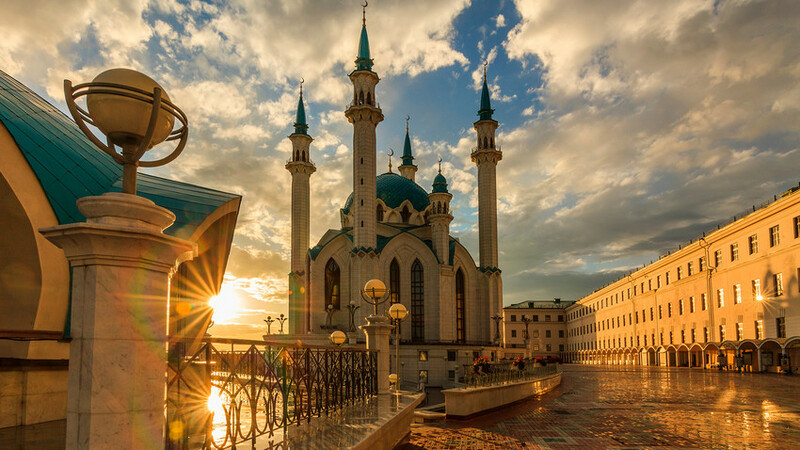 While the city is one of Russia’s most interesting tourist destinations and the center of Tatarstan’s language and culture, there’s plenty more to see beyond Kazan’s limits if you have a day or two to kill while waiting for your next match. These day trip ideas will bring you close to nature and take you back in time to some of the most ancient and mysterious periods in Russian history. 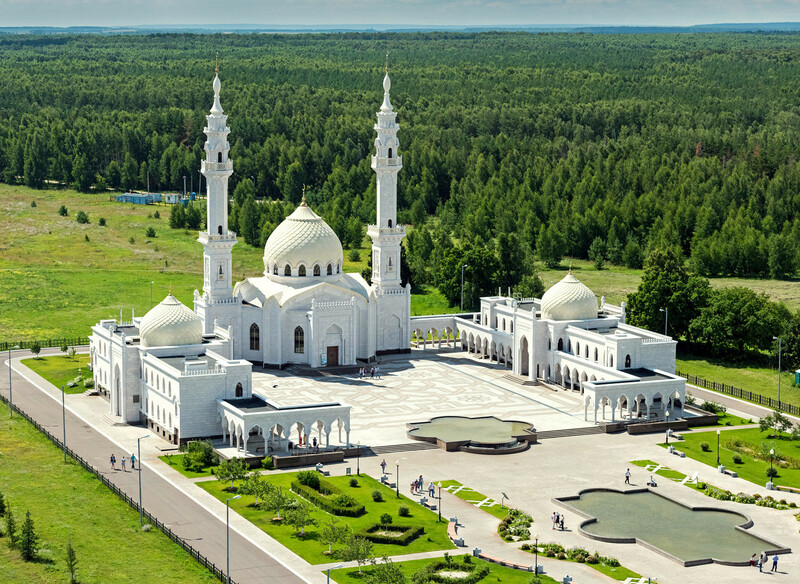 Located to the south of Kazan via the Volga River, Bolghar is home to a stunning waterside white stone mosque which gives the Taj Mahal a run for its money. Dubbed the “Mecca of the North,” Bolghar’s walls date back to the 13th century, when a wealthy Islamic metropolis-that-once-was known as Volga Bolgaria flourished before and during its occupation under Genghis Khan. This was a predecessor state to the Kazan Khanate, the eastern empire which once provided the tsars’ greatest rival and stumbling block before Ivan the Terrible’s conquering of Kazan in 1552, which paved the way for the colonization of the Urals and Siberia. Home to breathtaking medieval grandeur, this temple also houses the world’s largest Quran, which has been encrusted with jade, silver, and gold. An embodiment of cultural changes that gives a rare glimpse into how Russia became the enormous, multi-ethnic country it is today, Bolghar is the best place to get a real feel of Tatar culture and antiquity. Bolghar is best accessed by ferry, which will take you there from Kazan in just over an hour, through a queue of endless forests and azure skies. The ferry departs at 8 a.m. daily from Kazan riverboat station and costs 600 rubles (€8) per person. Alternatively, you can get there by car in two and a half hours. 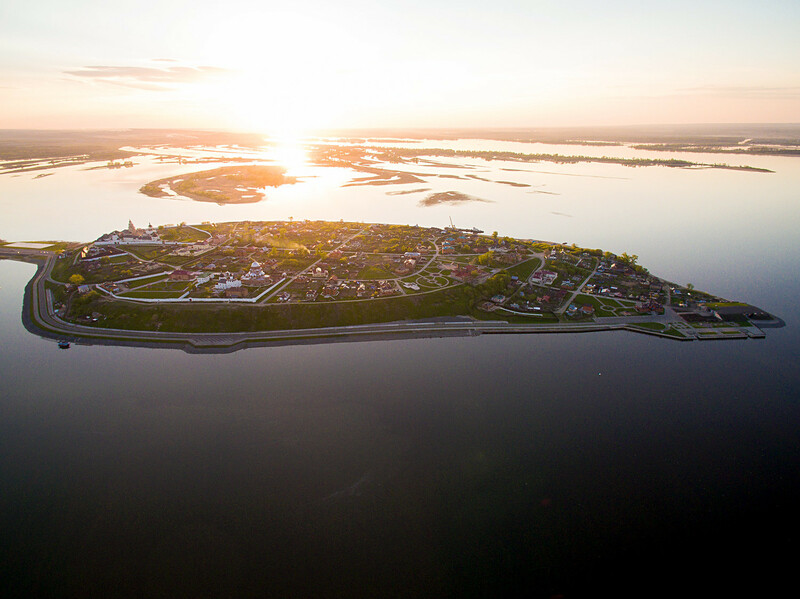 This UNESCO listed village is no longer an island – rather, it is a peninsula which was flooded in Soviet times and reconnected to the mainland through a thin road. Kept above water by its high cliffs, Sviyazhsk Island is one of Russia’s most curious and picturesque tourist attractions, offering a podium for a flat, unspoiled view of the Volga for miles around. Now a peaceful green village of 258 people, Sviyazhsk is rich in interesting history and architecture. The wooden Trinity Church is the only remnant of the days when the peninsula served as a fortress for Ivan the Terrible in 1551 (it was built in just four weeks), while seven other churches and monasteries are also dotted around the island. Many of the town’s residents are housed in the island’s enormous mansions that can be seen from afar. Walkable, mythical, and idyllically peaceful, Sviyazhsk Island offers nothing if not a quiet day off the beaten track. Take it from Pushkin himself, who used the village as inspiration for his magical fairytale land of Buyan in his story The Tale of Tsar Saltan. Sviyazhsk Island is easily accessed. The most scenic route is on the Volga, with boats leaving from Kazan riverboat station for 200 rubles (€2.75) and taking roughly two hours. However, the island is also accessible within one hour by electrichka (suburban train), and there are daily busses going there from 170 rubles (€2.35). To find out more about Sviyazhsk Island before your trip, read our article about it here. Located in the heart of the Volga-Kama Nature Reserve, Tatarstan’s largest monastery is an oasis of serenity that combines Orthodox architecture with ecotourism. 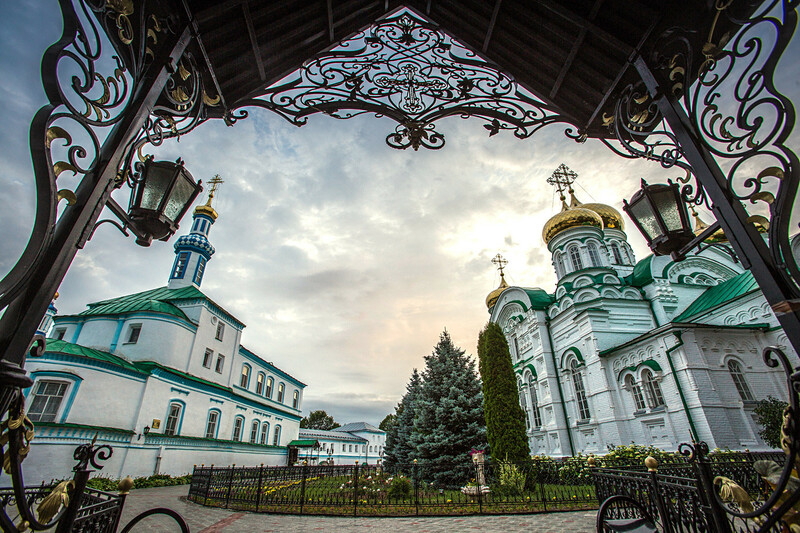 Situated just west of Kazan, walking through this compound’s narrow walkways lined with magnificent gold-topped cathedrals and churches (both stone and wooden) is a religious experience. Each cathedral offers a spectacular interior decked out with golden extravagance, not unlike that seen in the Winter Palace in St. Petersburg. The monastery also backs out onto the sparkling Lake Raifskoye, which boasts a crystal clear, mirror-like reflection of the sky and trees around it. Unrefined, clean, and peaceful, this lakeside gem is the perfect getaway to counter the humidity of the Tatar summer. There are no trains connecting Raifa and Kazan, so the only way to get there is by bus or car, which takes around an hour. The most convenient busses are the 552 and 554, which depart from Kazan’s Severny Vokzal (North Station, accessible by metro) to Raifa six times daily for a grand sum of 70 rubles (€0.95).